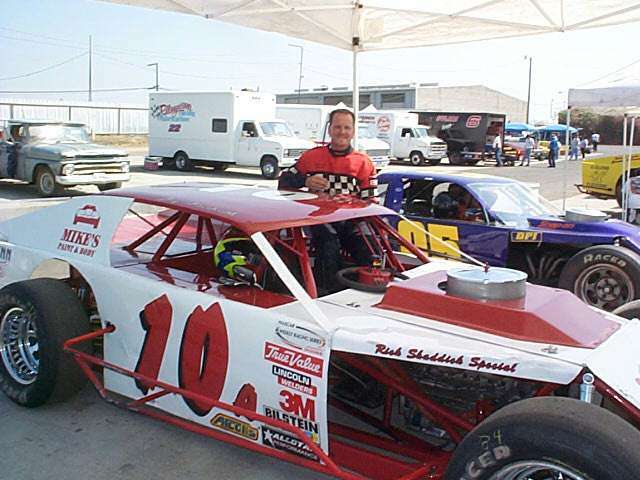 59-year-old Harry Belletto of Modesto shows no sign of aging as he picked up his 73rd career win and 4th of the 2002 season in the HOTWOOD Western Late Model competition at Stockton 99 Speedway in the NASCAR Weekly Racing Series presented by DODGE. 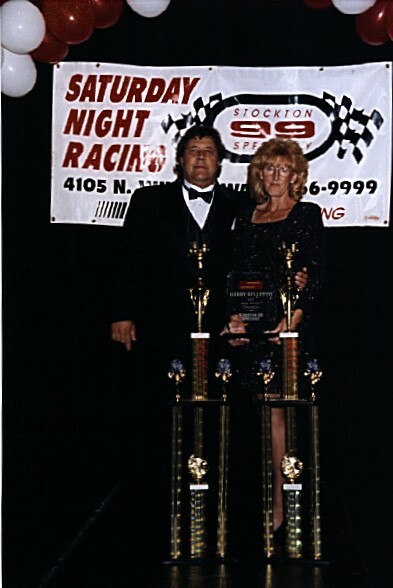 Belletto, in his 33rd season of racing, including 30 years in Late (Left, Harry Belletto in 1982) Model action, (Harry and Carol Belletto in 2000, right) started 8th on the grid and shot to fourth on the first go-round behind first lap leader Robert Knittel of Lodi. Hot rookie runner and early heat winner, Pete Anderson, Jr., of Stockton took control on lap-two followed by Delhi driver and dash winner Wes Miller, with Belletto, the night’s fast timer, gaining third on lap-three. 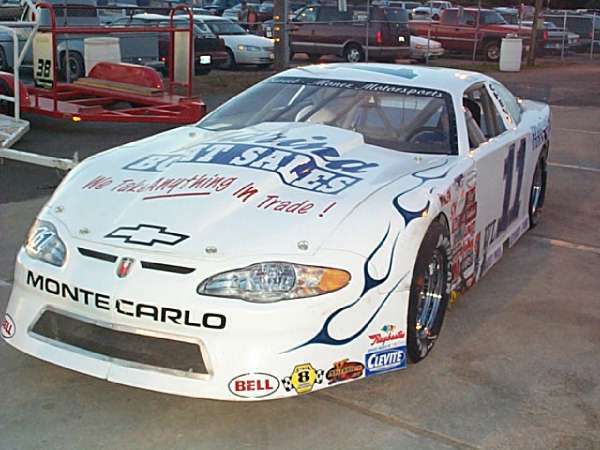 The first yellow of the event fell on lap-six as former Pro Stock driver, #17, Jason White of Lodi spun off turn four in his first 2002 appearance in the newly created division sponsored by C.L. Bryant Union 76 Gasoline. Miller grabbed the lead on the restart with Belletto coming to second on lap-13. Two laps later Belletto go low under Miller and the two waged a tight battle before Belletto gained the front spot on lap-17. A short yellow for debris in the form of half the side of Stockton driver Buzz Devore’s car lying in turn four was the only other halt to the program as Belletto sailed home with the win ahead of a strong finish by Tracy Bolin of Valley Springs. 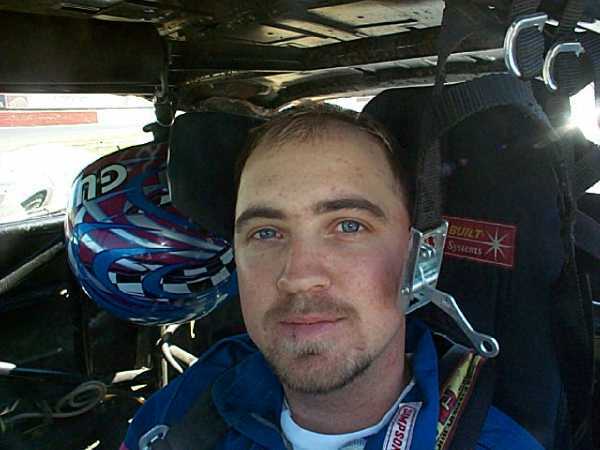 Devore, in his ‘ventilated car, finished third ahead of Eddie Laws of Citrus Heights and Miller. Chris Monez, #11, of Lodi picked off the other heat win for his first career division victory. 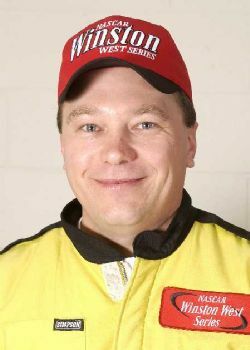 Belletto, who now holds six of the seven major Late Model racing records kept on file, increased his point lead to 106 over the once again non-running Dave Byrd of San Jose. Miller runs third on the charts. 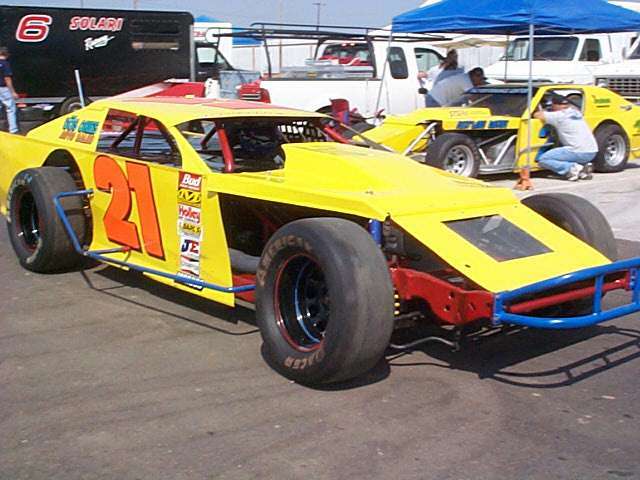 The Grand American Modified division was fiasco of eight yellows and a red that culminated in a final checked/yellow on lap 21, nine laps short of the intended goal, with Steve Stacy of Stockton gaining the victory on the final run to the flag. 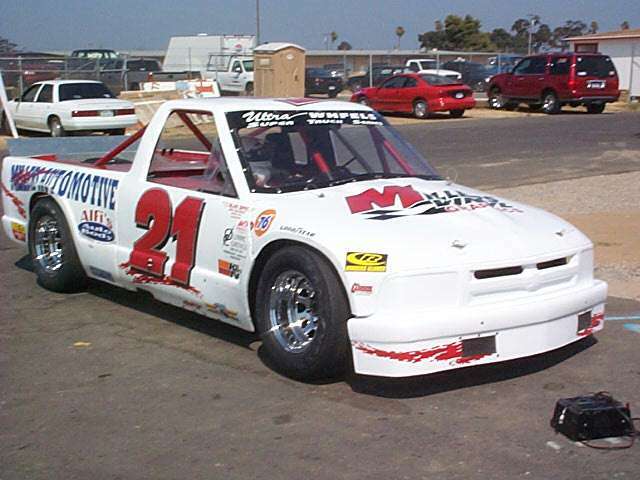 16-year-old rookie sensation Kyle Gottula, #21, of Modesto grabbed the first lap lead and ran to the first yellow on lap-five with the highly improved Mike Regelman of Ripon taking the point on the restart. After two more yellows the lead reverted back to Gottula with 10th place starter Stacy taking charge on lap-12. 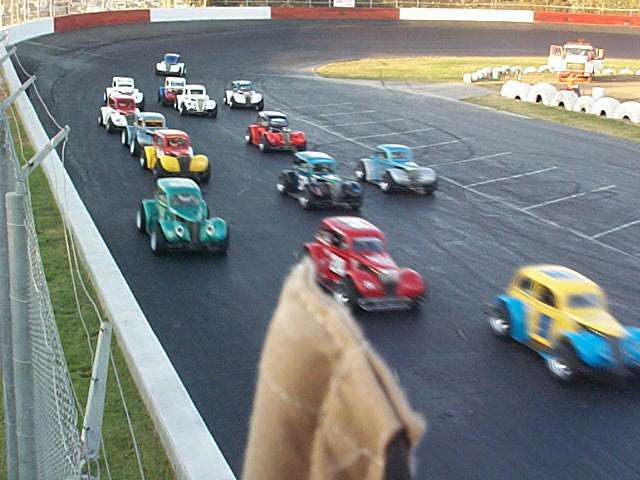 No more than two laps of green flag racing and constant yellows marked the remaining program with fast timer Jay Linstroth, #10, of Citrus Heights taking the lead on lap-19 with a red falling the next lap as cars tangled in turn-one with fluid covering the track. Already over their allotted time limit, a yellow on the next lap also brought the checkered with Stacy beating Linstroth to the line for the win with Regelman running third ahead of Sam Solari of Salida, and Gottula. Danny Contessotto of Stockton continues to lead the division points, but lost ground to second place runner Solari of Salida who now trails by 22, and former point leader Stacy who sits in third 35-points behind. Contessotto won the dash but finished ninth in the main. 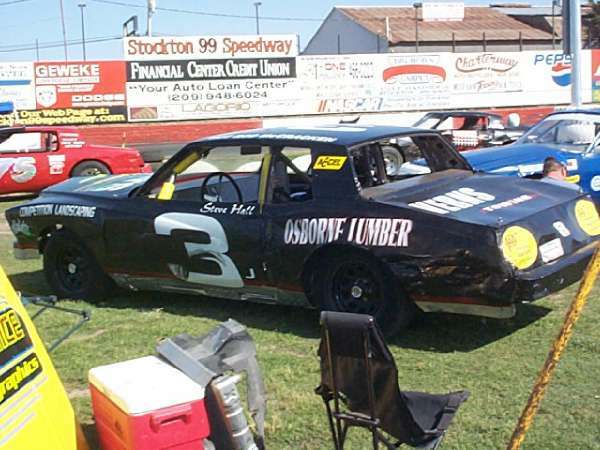 The Pure Stock drivers gave the ‘Pros’ a lesson on driving with only one yellow slowing their program as Steven Hall, #3 of Manteca took the early lead before bowing to Joey Stearns of Stockton on lap-four. By the 10th lap it was Stearns, followed by Tom Bolin of San Jose, Danny Guibor of Manteca, dash winner John Medina of Galt, and fast timer Michael Wendt of Lodi, with Bolin taking control on lap-13. Bolin held tough to post his fourth victory of the season ahead of Stearns, Wendt, Guibor, and Johnny Bird of Stockton. Guibor continues to hold tight to the point lead with a 115-point spread over Bird, with Bolin now running third. The Mighty Legends of the Pacific were on hand for their sixth event of the season and ran off their usual quick-paced show with the feature victory falling for the fourth time this season to early heat winner Michael Morrissey of Kings Beach. 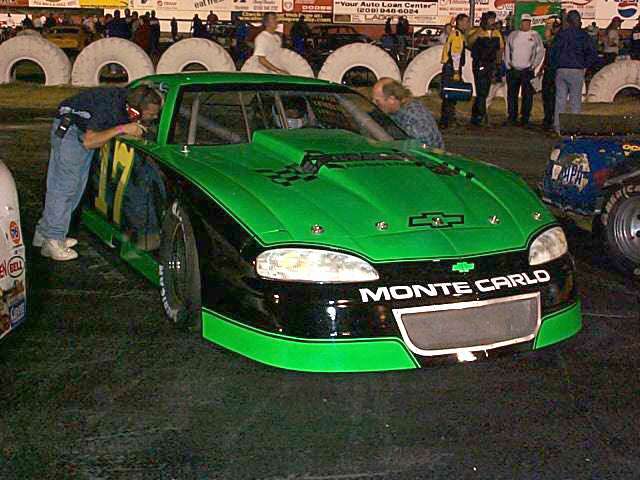 Starting 12th on the field, Morrissey made short work of the pack as he surged to the lead on lap-seven and never looked back, winning by a full straight-away over heat and dash winner Ryan Mosher of Cupertino. Pete Currin of Redwood City finished third ahead of Charles Young of Los Banos, and Kelly Martin of Modesto. The Ultra Wheel Super Trucks were back at Stockton for their fourth event on the year with Dave Byrd of San Jose picking up his third feature win in a shortened 40-lap event that got slightly rough with four yellows and a red flag marring the action. Byrd, who equaled his track record in time trials, started sixth on the field and slowly made his way forward to take control on lap-33. Kyle Evans of Hanford was the early leader giving over to dash winner Joe Locicero of Alamo on lap-six. Last event feature winner Mark Holeman of Los Altos ran second at that point with Byrd coming to third on lap-12, and second on lap-22. Kevin O'Neil of Long Beach followed Byrd and Locicero to the checkered followed by Brian Arak of Clovis and Jeff Womack of Modesto. The prestigious NASCAR Winston West event, billed as the Dodge Dealers/Napa Auto Parts 200 presented by JanKing & ProLong, is set for August 17th, and will feature many of the West Coast’s finest drivers including Modesto’s Mike David, who holds a slim lead in the Stage 8 Locking Fastener rookie of the year battle over Greg Pursley of Newhall. 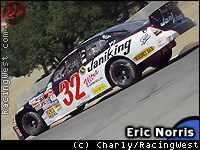 Eric Norris, #32, of Dana Point will bring his 1009 point count to Stockton and wage it against the second place total of 967 held by Austin Cameron of El Cajon, the winner of the Irwindale event on July 29th. Kevin Richards of Spokane Washington, Runs third with a total of 936, followed by Mike Duncan of Lamont at 875 and David in fifth with 859.